Amazing place. Beautifully appointed. Grand presentation. Well laid-out. Excellent location. Interesting history. I have stayed here 9-10 times over 12 years, and with each visit I have enjoyed consistent service & experience. One MUST wander around the lobby, Orchid ..... and at least peek into the Hall of Mirrors and Continental Room, and look up to enjoy the murals, lighting, vents, wood work, touch the marble.....spectacular place! Highly recommend. Excellent location, close to the Fountain Square. Make sure and go to Observatory in Carew Tower! Lots of restaurants in easy walking distance. Also close to the Stadium and museum. Even rode the bus and took the Grand Tour! 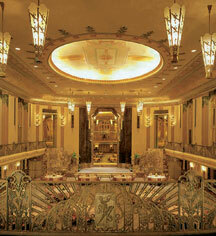 History Art Deco hotel that must be seen while in Cincinnati. Better yet, stay here to experience the ultimate in service. Make reservations at the Orchards for a 5 Star dining event that is beyond belief. You will talk about it for years to come. So happy I stayed there. 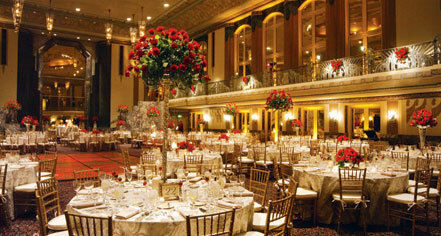 One of the most beautiful historical hotels in Cincinnati. Everything about this hotel and location is a win. Located in an easy walking distance to everywhere you could possibly want to visit in downtown. We stayed at the Hilton for my daughter's wedding weekend. I reserved 3 rooms, as well as the "one day use" room for the bride and the bridesmaids to get ready in. The "one day Use" room was amazing. It had plenty of room for all 8 of the bridesmaids, the bride, mothers, and flower girl. The bell staff was a little slow when providing services when requested, but did a good job overall.